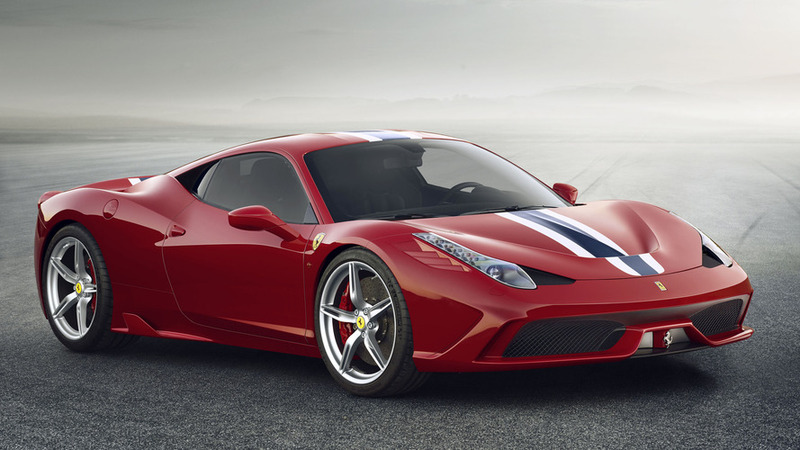 Following a series of leaked photos, Ferrari has taken the wraps off the 458 Speciale A (Aperta). Representing the company's most powerful open-top model ever, the 458 Speciale Aperta (Italian for "open") will be limited to only 499 units and all will feature a retractable hard top that needs 14 seconds to open/close. Thanks to its aluminum construction, the new roof has added only 50 kg (110 lbs) in comparison to the 458 Speciale which means the vehicle has a dry weight of 1,340 kg (2,954 lbs). Power comes from the coupe's V8 4.5-liter naturally-aspirated engine delivering 605 HP (445 kW) at 9,000 rpm and 540 Nm (398 lb-ft) of torque at 6,000 rpm. It needs three seconds to cover the 0-62 mph (0-100 km/h) just like the coupe while the 0-124 mph (0-200 km/h) sprint takes 9.5 seconds (+0.4s). Ferrari hasn't said anything about a top speed but most likely it has decreased a little bit from the coupe's 202 mph (325 km/h). The model is billed as being "the most aerodynamically efficient Ferrari spider ever" and is being showcased in a bespoke triple-layer yellow livery with a Blu Nart and Bianco Avus central stripe. It rides on Grigio Corsa five-spoke forged wheels while on the inside blue carbon fiber was used for the dashboard and door panels. Lastly, the seats have been wrapped around in Alcantara with 3D stitching and 3D technical fabric. 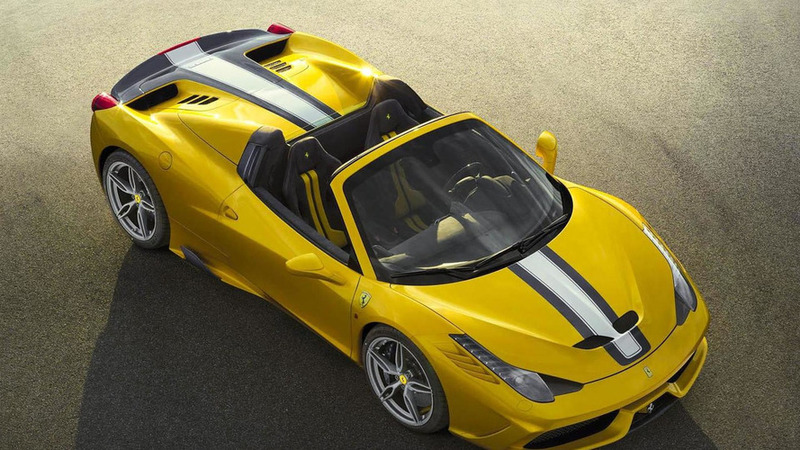 The Ferrari 458 Speciale Aperta will be introduced on October 2 at the Paris Motor Show.